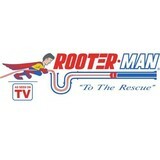 Rooterman Bethpage NY is a local full service, professional Sewer and Drain Cleaning Company with over 35 years of service. We provide dependable services at reasonable rates, 24 hours a day, 7 days a week! 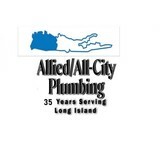 At Allied/All City Plumbing, our expert local plumbers have years of experience in diagnosing and fixing whatever plumbing, water heater, sewer, or drain cleaning needs you may have. The services we provide include but not limited to tankless hot water heater repair, clogged draining, fixture repair, garbage disposals, sump pumps, kitchen & bathroom remodeling, sewer line inspection. Name it, and we do it. We take pride of our work and treat every jobs with all the professionalism and courtesy that deserve does not matter if is small rapair to a new construction. We will always take our time to do the right job while make customers feel happy knowing they are in good hands. We have the experience working in the Tri- state area in NY, Westchester County, Putnam County and the state of Connecticut. Everflow was built on a three generation family tradition of integrity, manufacturing high quality products. We have been exclusively serving the national plumbing & industrial supply markets with a comprehensive line of premier products for nearly fifteen years. Based out of our 100,000 square-foot Carteret, NJ headquarters, we are dedicated to our uncompromising commitment to providing the highest levels of efficiency & service, which our customers have become accustomed to. D Kelly Plumbing, is a full-service company specializing in all aspects of plumbing for residential and multi-family housing. Our company vision is to provide each and every customer with the best possible work at the best price. We are licensed and fully insured. Fossati Plumbing and Heating is a full-service company specializing in all aspects of plumbing for commercial, residential and multi-family housing. Our licensed, trained plumbers have the tools, knowledge and experience to solve any plumbing project. We offer competitive pricing, quality craftsmanship, and timely completion on every project; commercial and industrial and residential. When plumbing problems occur in your home you need a plumber you can trust, call us. We’re prepared to stand behind our work and guarantee excellent service and 100% customer satisfaction. A1 Plumbing and Heating Corp.
A1 Plumbing and Heating Corp. specializes in residential, commercial, and new construction. A1 plumbing and heating corp. is a company of dedicated plumbers and highly trained technicians committed to a job done right. 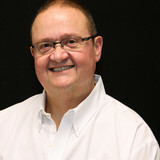 Edward J. Stashluk founded our company in the late 1940’s. He was widely admired in the industry as a steam expert, and for his ability to solve problems that no one else could. A plumbing and heating wizard who could find the source of the most challenging issues and fix them, Mr. Stashluk easily fixed and restored even the most arcane plumbing systems in the largest old homes. A former employee of the New Jersey Water Company, Mr. Stashluk started out selling fuel oil and servicing heating systems. The business was based in New Providence, NJ, and in the 1950’s and ‘60’s evolved into a full-service plumbing and heating company. Mr. Stashluk grew his business slowly, applying his encyclopedic technical knowledge, always demanding the very best for his customers. The company was hired by builders to service the early developments in Chatham, Summit and surrounding towns. As early as 1964, Mr. Stashluk collaborated with the State of New Jersey Department of Education’s Vocational Division. He gained the state’s certification of approval for our Apprentice Training program, which we continue to the present day. Wexler Plumbing & Heating, Inc. is Brooklyn’s family owned and operated plumbing company, proudly serving commercial and residential customers in all five Boroughs of New York City. We are your well established and superior plumbing service provider, with over fifty years of experience in all facets of the industry. Our team of technicians, customer service representatives, estimators and managers strive to serve all your commercial, industrial or residential property needs, to the highest level of satisfaction possible in every single job they do. Our Brooklyn plumbers always make sure we offer you the best value for your dollar, and strive every day to make all our clients become a repeat and referral customers. At Allied /All City Plumbing, our expert local plumbers have years of experience in diagnosing and fixing whatever plumbing, water heater, sewer, and drain cleaning needs you may have. The services we provide include but not limited to tankless hot water heater repair, clogged drains, fixture repair, garbage disposals, sump pumps, kitchen & bathroom remodeling, sewer line inspection. Name it, and we do it. We run a small to mid-size construction firm and work with architects & property managers to help them with fast downtime recovery. Also, with our understanding of real estate acquisitions, we help individuals and companies quickly add value to their property. Bargain Plumbing and Heating has experience providing the best residential plumbing services for New York City. Our mission is to allow you to live comfortably without having to worry about plumbing issues. From small bathroom issues to major pipe bursts, our company has a solution to all your plumbing needs.